As Americans think about military service this week, let’s consider one lesson that the military stands to teach our companies: sustainability is a strategic imperative. The U.S. military has been embracing green technologies for years, and more private companies should follow suit. The US Army is not a feel-good organization. They don’t make decisions because of passing trends or to seem “hip.” The Army acts on strategy, efficiency, and competitive opportunity. So when they set their “Net Zero” goal in 2010, which aims to have their buildings and installations produce more energy than they use, there must be a strategic reason for them to do so. Net Zero practices make the Army more flexible, financially efficient, and sustainable in the long run. They also save lives. Secretary of the Army Joseph W. Westphal explained how using resources more responsibly is “about protecting the lives of our troops and making our military better and more capable.” To resupply troops with water and fuel in Afghanistan, convoys must drive across treacherous territory. Almost one casualty is accrued for every 24 fuel resupply convoys. Minimizing fuel and water consumption poses to directly and literally save lives. 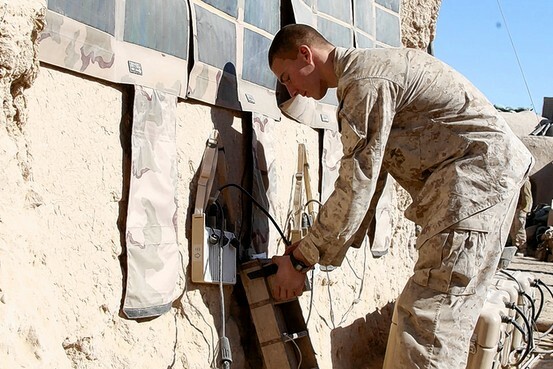 Marines use solar technologies to lessen the number of necessary fuel convoys and reduce the need for heavy batteries that troops have to carry. This has shown to be a runaway success, Col. Bob Charette says. Roll-up solar panels have “surpassed our expectations,” making troops more flexible, faster, and more independent on the battlefield. The military has a profound financial incentive to act more sustainably as well. “The Pentagon spends roughly $11 billion a year on energy, more than $8 billion of it on petroleum fuels,” and by reducing their dependence on outdated energy technology, they stand to save taxpayer money…lots of it. Though sustainability is less likely to be an immediate existential issue for most private companies, business leaders can learn a valuable lesson from military sustainability. Namely, sustainability and green technology are not just marketing, philanthropic, or feel-good undertakings. Strategic sustainability is an issue of competitiveness, not conscience. Sure, going green is a moral, ethical thing to do, but those elements notwithstanding, sustainability and resource efficiency bring their own concrete benefits. So next time someone tells you that sustainability is just for the deep green fringe, you can look to the military to show how it is a winning strategy for even the most unexpected of groups. Image used via Creative Commons from Keoni Cabral.